Lakeside Co-operative Preschool is a non-profit early childhood education program for children 3 to 5 years old. At Lakeside Co-op Preschool, parents and teachers play an active role in the development and success of each child. Parent involvement keeps tuition cost low and, more importantly, engages each student and parent, creating a welcoming and safe environment. 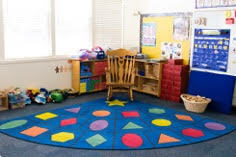 Our school’s spacious classroom provides the perfect space for your child to learn, wonder, and grow. Our classroom is located at Silver Beach Elementary in Bellingham, WA. Call or email us today to learn more about Lakeside Cooperative Preschool. Thank you to Melissa Daughters of MKDaughters Photography for the photographs of our classroom.